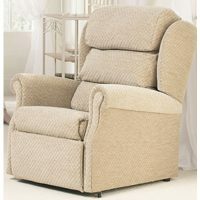 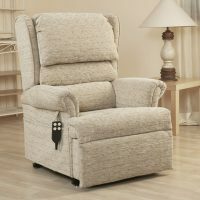 The Ferndale Rise & Recliner has a more contemporary design, with comfort styled arms, padded waterfall style back and full chaise footrest, as well as a full length pocket and control loop. 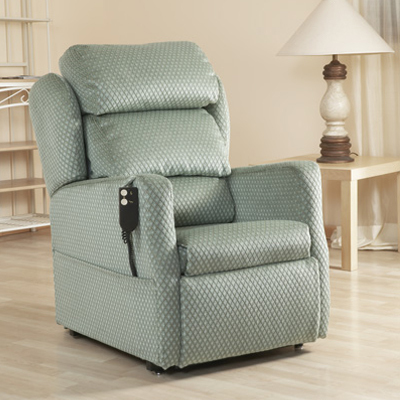 An optional headrest is also available for the Ferndale model, that can be manually adjusted, moving the top head-roll up to 3″ forward. 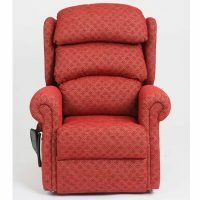 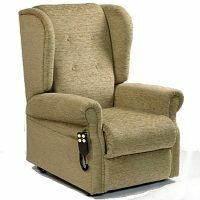 The Ferndale recliner can be made to order with a choice of seat dimensions, motor mechanism, weight capacity and in a huge choice of fabrics.